These last two days – inclusive today- have been crazy busy for me, swamped up in workshops and not being able to tell the difference between the tea break and lunch break. I always mistook one for the other. I haven’t had a lot of time to myself; Yesterday though, I was this close to not writing day 4’s post in time, it got in a few minutes to midnight. By around this same time. Meaning, today is worse, because I am not even half way into my blog post and it will be midnight and day 6 in no time; I am therefore typing like a maniac and hoping to make it on time. I don’t even know where to start from and I will not edit this post, so I will just get on to telling you some stuff about myself you garra know. Not that you have to, but well…what shall I write now?? So the best thing that happened to me the other day is not chocolate, sadly, but It’s that while I fumbled with all the paperwork in my desk, I had the C.S. Lewis song off Brooke Fraser’s 2007 Albertine album swim through my ear phones and straight to my heart. Hehe. Somewhere up there I sounded like a music freak, but waah. Don’t be decieved. The truth is i listen to alot of music, both common and random but mostly because I like the Lyrics. For me, the best part of listening to a song is when you can sing along. I love music. But i have no favorites. I generally have no favorites. Not with music, food, books, sports, hang out activities, nothing. See my life, right? Oh but colour! I have a favorite colour, but that is not yours to know, because I can’t have people look up my birthday and then come bearing gifts of the same color. (Haha i wish!) Everything i own looks almost the same already. Geez, i keep swerving. I was telling you about my music. I don’t keep memory of it either. Not even most of the song titles. I will do my best to remember the singer, but not the title. Never. Same goes for the books i read. I am basically a reader, but not the typical one…(you will find out why) lock me up in a prison with good books and I will beg for a life sentence. BUT, like the music, i never remember the titles of the books i read. Not even the authors. If i am lucky enough to remember, it is one or the other; never both. And I am glad to share two of my very classic authors that i can recall; Louisa May Alcott and Jack London. I feel so proud of myself at the moment, that i could manage just two. Now you get it. I am not a major-anything freak. I like to try different things and adventure (like everybody calls it) apart from new foods. It is very good, nice and comfortable knowing my stomach will be just fine, so I get conservative on that front. I’d rather starve than have creams, purple leaves, and other colored substances for lunch. I hear they are healthy, but across seas, they are all GMOs. The chicken too. So is that still healthy? I am not educated on that part. PS. It’s 10minutes to midnight. Onto Previewing and publishing! Phew! If there’s anything happening, all I can think of is my new surroundings, job and state of mind. It’s not a frenzy, but I think the real word just finally showed itself. I am not scared or unprepared; I am rather curious and just a little excited (yes, I love my job but I can’t be too excited because then my new found physical and mental freedom will sink in and I will be impulsive with my decisions…but yet I want to stay sane). I had no idea how short the days would become for a typical 8-5 individual. Okay, I did. I’ve tried this before. I just don’t know why everything feels real(er) now. Onto the short days, they’re very short. Then this starts to make me think about the women in or out there, and or the mothers. 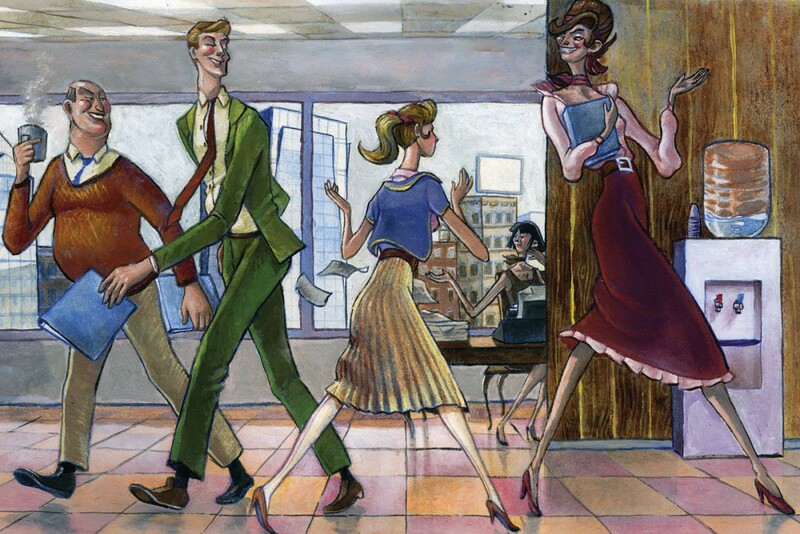 How they even start to carry themselves off their chairs, slip on their high heels, tuck back their pumps (read flat shoes), to head back to another whole job that could either be relaxing on one very rare day or murderous on one very common day. Not that I have a family to go back to, I am just assuming; because I have a group of people I go back to every evening (or is it “go back with”) too, and my days are yet to make comfortable meaning. The transition is still fresher than ever. As for personal space, that’s a story for another day. There’s one lady I don’t get though; The kitchen lady at work. I am almost as afraid of her as I am with hens. I said good morning in the kindest and sweetest way to the kitchen lady this morning. She didn’t respond. I asked to borrow a knife that I’ve seen a couple of times before, and she shook her head. I wasn’t offended. I was scared. I never know when she is happy or when she is angry. Sometimes I will ask questions and she is silent; then in 2 seconds I figure out that it was one of those questions with obvious answers and then I’ll just go ahead with whatever I was thinking. On other days she will smile when I say good morning, and then I will feel like i just won a 100 metres race with Usain Bolt in it. I don’t get her. As you make your cup of coffee, she will watch you take half boiled water from the boiler and into your sugar and coffee and tell you afterwards before you stir that you have just used un-boiled water. You did not see her take out and replace the boiling water, and she did not tell you. And you did what you did because you heard her mention to another that they could use water from the boiler. I noticed also that she doesn’t have an actual laugh when she says some jokes and it is only the longer-serving employees here that can figure that out. Me I just be thinking I’m in trouble. There’re people with interesting names too, like names of former US presidents and also people that bend the rules from 1-10. I envy those ones because they look like they get away with it. But it’s a cool place, neighboring huge malls (read a huge mall), great radio stations, nice looking fuel stations with fancy restaurants. Not that I can even go to those places. No dear. I walk further down to mama-someone’s place. So maybe sometime when I want to do one of those self-celebratory things, I should love myself a bit more and make an order on Hello Food; one time won’t kill, will it? One time won’t make me broke as a mouse…or will it?